Crossing the Border to Tijuana: Do I Need A Passport? Then you’re probably already committed to coming over to the other side. The answer to this is “sort of” because technically, it’s illegal for U.S. Customs and Border Protection agents to refuse entry to any American citizen into the states, but will often make a fuzz about you not having the proper documentation and send you to secondary inspection. Nothing out of the ordinary will occur in secondary inspection when crossing the border to Tijuana, just a few more questions, fingerprints verification, and off you go. Crossing the border to Tijuana, Mexico by foot is probably your best bet, and it is just as easy to get back home. 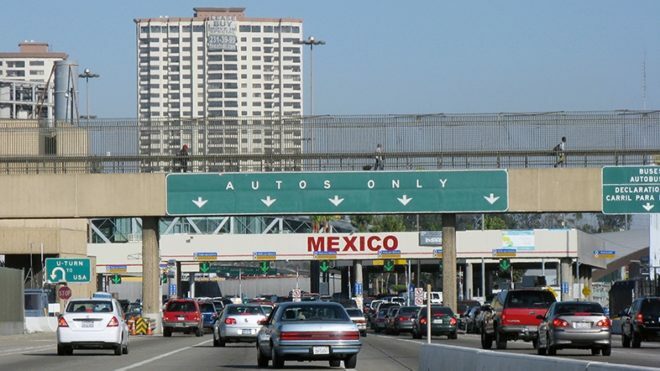 Driving your car into Tijuana will force you to wait hours in the automobile line when going back into the United States, all while watching the pedestrians breeze by into the states. Parking your car in a San Ysidro parking lot for about USD 12 a night is what most Americans do to avoid the massive traffic crossing back into San Diego. There are parking lots designed explicitly for this right by the famous Plaza De Las Americas. 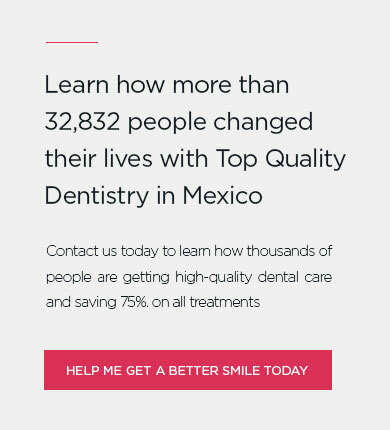 We highly recommend this option, especially for those receiving dental treatment in Tijuana. IMPORTANT: If your stay in Tijuana exceeds seven days, a USD 20 fee for a visitors’ permit is required. Crossing the border to Tijuana is as comfortable as downing a shot of tequila during Spring Break. Okay, tequila might not be your preferred poison, but the point is that people have an irrational fear of crossing into Tijuana for no particular reason. Perhaps the chaotic nature of the border is what turns people off to the idea, but when you get past the hassling cab drivers and vendors cramming any product down your throat, the beauty of this border town is rapidly evident. If you do have your passport, perfect, you should have zero issues going in and out of TJ. Those of you without access to a passport or visa, or if you lose it while in Tijuana, will need a driver’s license or another kind of American identification to avoid secondary inspection. However, your name and date of birth should be enough information for a CBP agent to find you in the system, and you’ll be back home in no time. Crossing the border is the simplest part. The San Diego Trolley will leave you right by the entrance to Mexico. All you have to do is keep walking straight under the covered walkway and follow the herd until you reach Avenida de la Amistad. It is virtually impossible to get lost, and if you do need to ask for directions, you can find comfort in the fact that nearly all people downtown speak or understand English. We do not recommend you walk from the border to your destination, which is most likely downtown Tijuana. Take a taxi ride to Calle Revolución for less than USD 5. TIP: Please do yourself a favor and avoid the yellow cabs at all costs. They WILL try to cheat you. Instead, ignore them, pretend they’re not there, and keep walking until you see the orange and white cabs that have regulated fares. Feel free to bargain. A lot. They usually will meet you halfway on price. Or use one of those apps on your fancy cellular phone device to order a limo, or whatever kids are doing nowadays. Congratulations! You made it to the busiest street in all of Tijuana. 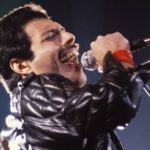 Now, if you are a Trust Dental Care patient, there is no need for paying a cab fare. We will personally send a driver to meet you as soon as you step foot into Tijuana. We will also make sure you get back to the appropriate line following your appointment. Our FREE shuttle service is what separates us from the competition. IMPORTANT: You must call us before your appointment to ask for a medical pass that will expedite your waiting period on your way back to the United States. A medical pass is also available for those patients who do drive their cars into Mexico. The trip back to the United States should be just as hassle-free if you have prepared your documents beforehand. Again, we recommend you cross by foot to avoid long waiting lines back into San Ysidro. There are three types of papers accepted by CBP: a standard passport, a passport card or border crossing visa card, or a SENTRI (Secure Electronic Network for Travelers Rapid Inspection) card. A passport holder, typically those who are first-timers in Tijuana, must use the left pedestrian line to cross back into San Ysidro. The middle lane is for regular visitors who have applied and been approved to obtain a ‘Ready Lane’ card or a border crossing visa card. Now the right path is the fastest, and it is exclusively for those with what is known as a SENTRI card. A SENTRI card is a tad harder to get approved for but has countless of advantages and will save you hours of waiting over time. Be prepared with water or any beverages because you might have to wait an hour or so, depending on the time of day and year. Crossing during the daytime is more often than not a 60-minute delay, but it beats waiting three hours had you crossed with your car. Wear comfortable clothes and have spare change ready in case you need to use the restroom. There are no public restrooms on the Mexican side of the border, but a mere 5 Mexican pesos will get you where you need to be. TIP: You can also come to Tijuana and go back into the United States using the Cross-Border Xpress (CBX). The CBX is a new bridge used to make crossing the border much simpler, but it’s near the Otay crossing, in the Tijuana Airport, not San Ysidro. Out of all the things to do when you are crossing the border to Tijuana, Calle Revolucion will offer the most variety. You can walk up and down the tourist traps all day, but the best restaurants and breweries are usually somewhere in between the streets perpendicular to La Revu (1st to 7th). There’s Pasaje Rodriguez, an alley on third and Revolucion, which is a small arts district full of artisan crafts and craft beers. You can also visit La Plaza Del Zapato, a great scene for foodies and it’s just a five-minute drive away from downtown. Soccer fans can investigate beforehand to get tickets for a professional Mexican League match. Tickets typically run at a mere $20 USD for a regular league game. The Caliente Stadium, where the Xolos of Tijuana play, is located on Boulevard Agua Caliente. A casino is next to the stadium (Casino Caliente), and Plaza Galeria Hipodromo is to the stadium’s other side. There, you can find Starbucks, Carl’s Jr., but it’s mainly known for its theater and fancy gourmet restaurants. Don’t be scared to come to Tijuana! People like you come every day, whether it’s to have fun or to receive dental treatments. The hard part is getting here, and that’s so easy a chimp could do it, so no excuse should be left to keep you from visiting the greatest border town in the world.